1) Stay healthy- This may sound obvious but it is absolutely crucial for the Chargers. This years division winners could well be the team that keeps the most of its starters healthy. Take the Chiefs and Chargers last year. Both teams in all honesty were and in my opinion are much better than the Broncos but the Chiefs lost players like Eric Berry and Jamaal Charles. This was a big blow for the Chiefs who would have had a very good shot at the division victory if they had kept healthy. The Chargers meanwhile suffered a six game losing streak when much of their offensive line and receivers like Malcom Floyd and Antonio Gates were injured. So with one of the tightest divisions in the league, the Chargers' trainers MUST keep the roster fresh and healthy, if they manage this the Chargers have a great chance to reach the playoffs. 2) Rivers Return to form- Rivers was a little off last year. Though not terrible he did not live up to his high standards and threw a disappointing 20 interceptions. Rivers seemed uncharacteristically shaky and made that shocking mistake in fumbling the snap against the Chiefs. Despite this poor year, Rivers is still a great quarterback and is capable of carrying a whole team on his back. If Rivers is at his best then the Chargers will be close to unstoppable and with the likes of Antonio Gates, Malcom, Floyd and Robert Meacham to aim at, he has all the tools needed to succeed. 3) Improvement on 3rd down on defence- Last year the Chargers were the worst in the league on third down success rate. The defence allowed offenses to gain a fresh set of downs 49.2% of third down attempts. This was the worst ever since the 1995 Browns. This has to change. AJ Smith was equally concerned and addressed the matter in the offseason by drafting pass rushing specialist Melvin Ingram. Ingram will join Shaun Philips and Antwan Barnes as pass rushers at outside linebacker. This is crucial as any quarterback can make medium or long yardage at third down if given lots of time, so the job of these linebackers is to get to the quarterback. Other acquisitions like Jarrett Johnson, also an outside linebacker, will sure up the run defence for third and short situations. 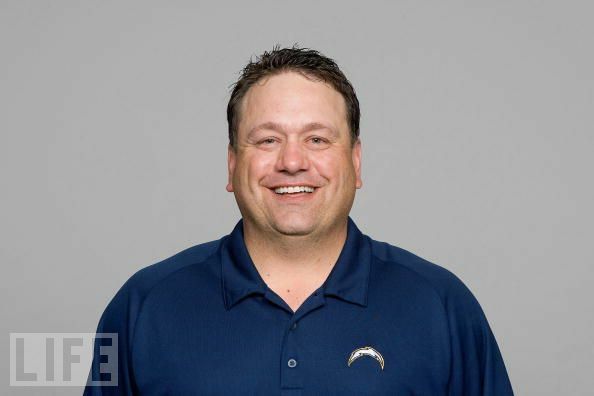 The new defensive coach, John Pagano, will aim to improve the Chargers' success rate on third down, thus allowing the offense to get on the field and put points up on the board. Two things you didn't mention were the cornerbacks and rookies. The corners are a real weakness on the Chargers' defense, I still remember how terrible they were against the Packers last season and Jammer getting a PI penalty on 3rd down. There aren't any new corners and the position is not very deep. Jammer is only getting older, so I'm sure this may be his last year as a starter. Cason needs to step up, he messed up last year and could easily lose his spot on the chart again. Gilchrist is entering his second year and he doesn't even have any real veteran leadership outside of Jammer to teach him a thing or two. If he becomes the starter, the Chargers will be in a real bad spot. I think it doesn't matter if you have a good pass rush if the opposing teams are easily throwing for 5-10 yard gains. Lastly, all the rookies on the defensive side of the ball are being expected to compete for playing time, as opposed to the offensive rookies who are more for depth and may become starters eventually after about three or four years. The pressure is on Melvin Ingram, Kendall Reyes, and Brandon Taylor give it their all when they're on the field. A down year for any of them and fans will probably start calling them busts, unless they go down with an injury. These are just my observations though, so I would like to hear everyone else's own opinion.